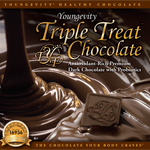 San Diego, CA – January 2, 2013 – Youngevity International, Inc. (OTCQX: YGYI) (www.YGYI.com), a global direct marketer of nutritional and lifestyle products and also a vertically-integrated producer of gourmet coffees for the commercial, retail and direct sales channels, announces the launch of an advanced anti-aging supplement, Imortalium™ into our global direct sales channel. Imortalium™ combines the most effective anti-aging nutrients in a cutting-edge, bi-layered and extended release tablet that nutritionally helps promote cellular longevity and telomere health to help slow the natural aging process. Imortalium™ contains synergizing antioxidant enzymes and essential nutrients that offer among the greatest telomere support.